It says Ditrac takes multiple feedings. Is that really the best bait to use for outdoor traps? Also is it a good enough attractant for indoor traps? Ditrac is a good rodenticide, but does require more bait to kill a given rodent population than Contrac or Fastrac. However, due to the EPA Rodenticide Mitigation laws of 2011, we cannot sell Contrac, Fastrac or Final in small quantities and we cannot sell them as of July 2014 to unlicensed persons in California. So as a retail product, it is the only generation II rodenticide available over the counter in smaller quantities. The option if you do not live in California, is to purchase the kit with 18 lbs of Contrac. Call us at 1-855-553-7378 for pricing on this kit. Or you can order it online - here is the link, just click the option arrow and the kit options appear. I do not recommend using rodent bait indoors. If a rodent eats the bait indoors, chances are it will die indoors. Then you will have a horrible smell from the rotting rat corpse. If you can't find it, then you live with the smell until the carcass decomposes completely, which could take a couple of months. There is no such thing as a rodent bait that makes them dry up and not smell. That is an old myth. 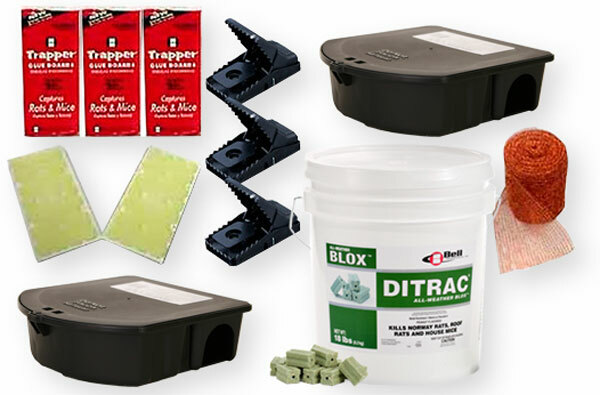 Use T Rex Traps or the Raticator for indoor rodent trapping.